Blend well. This makes a LARGE blenderful and is usually enough for at least 2 of us. 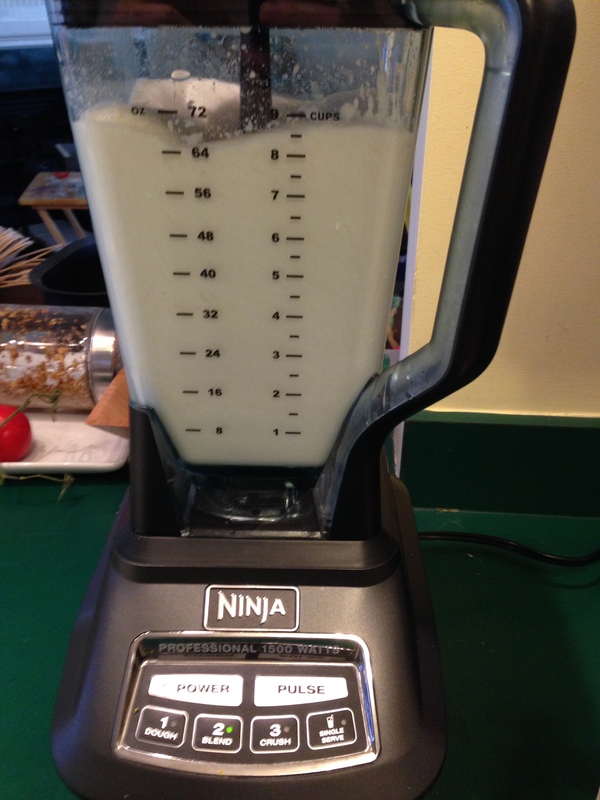 Add a little more of everything if you can fit more in your blender & you have more kids! You can also add a Tablespoon of coconut oil like it says in the book, but my kids balk at the texture of those little oil globs, so we typically make our smoothies E or FP. If you don’t have fresh kefir, you can use a cup or so of cottage cheese. Be sure to properly choose your fat content in the cottage cheese depending on your desired E/S/FP. It does make the smoothie a little gritty sometimes so blend well. I suppose you could also substitute greek yogurt for the kefir as well. 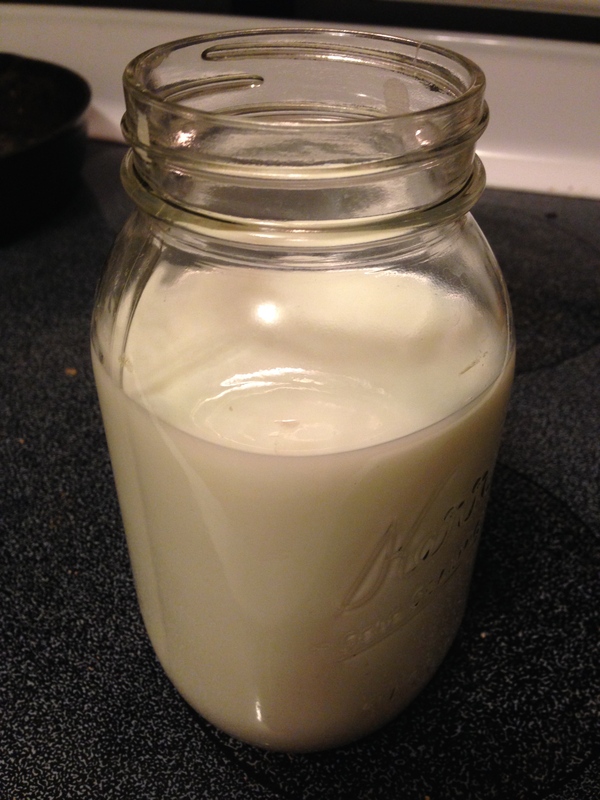 If you haven’t tried fresh kefir, I say… do it! 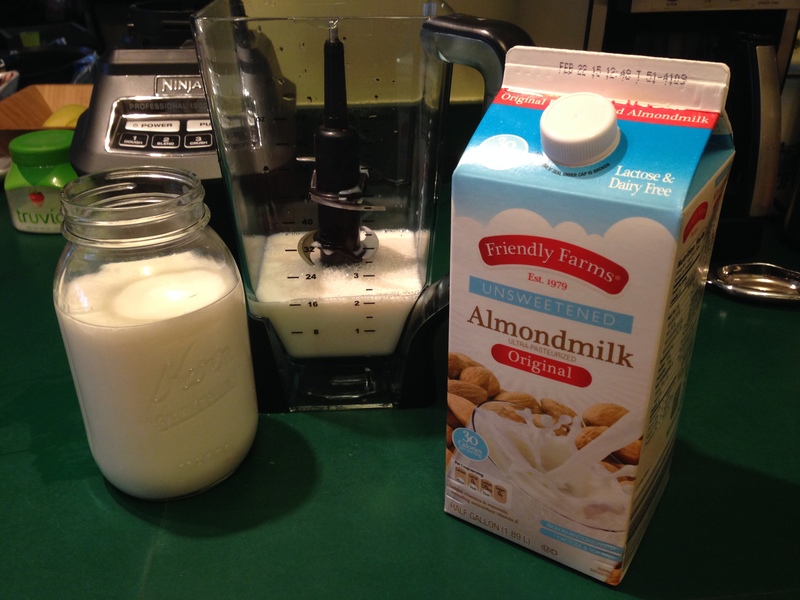 It’s super easy to do, is awesome for your digestive flora & adds a nice texture to the smoothie. It can be used in many recipes in place of cream, sour cream, milk or buttermilk. Ask around and see if a friend can split a grain, they grow quickly & you want to get rid of the babies! Or you can purchase the seeds online too! Peppermint Patty: 1-2 drops peppermint oil, use Chocolate Protein Powder instead of vanilla, and add a rough Tbsp of cocoa before blending. (might need extra stevia as well to counter the bitterness of the cocoa). 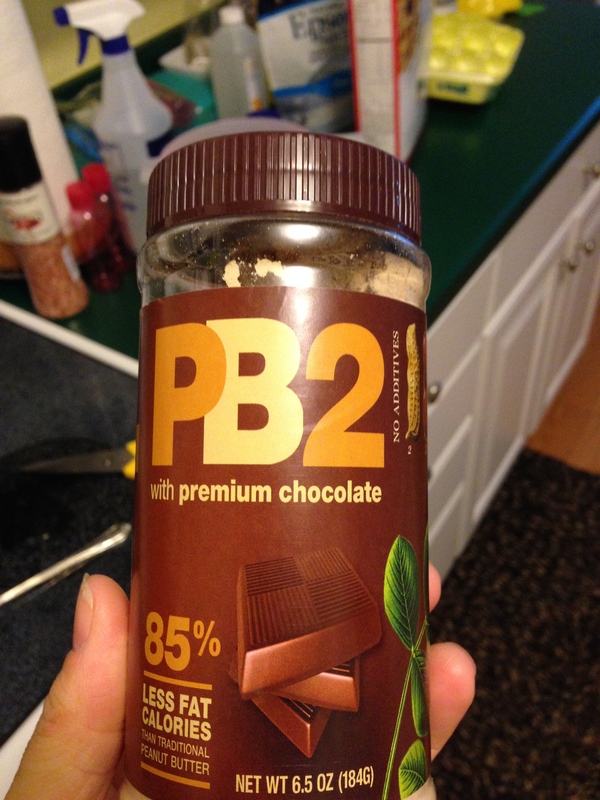 Chocolate Peanut Butter: use Chocolate Protein Powder instead of vanilla, add a generous shake or two of PB2, add some cocoa to taste. Raspberry/Strawberry: Add a handful of fresh or frozen raspberries or strawberries after the initial blend. SOO good! Pumpkin Pie: add about 1/3 can of canned pumpkin, 1 drop spice blend oil, dash cinnamon, dash nutmeg, dash ginger, 1 TB or so of ground flax seeds gives a nice ‘crust’ texture if you like that too! Banana Pudding: add 1/2-1 soft banana, 1T ground flax seeds. You can also add a drop or two of sugar free maple syrup to this… so delicious, but definitely an E (or worse). 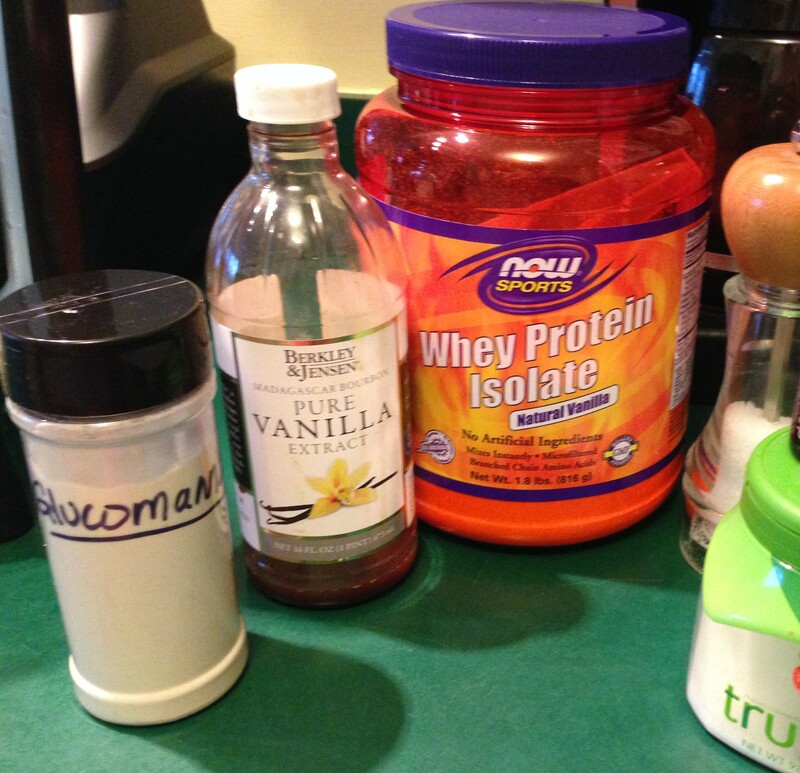 These are our top ten add-ins to our favorite vanilla smoothie. It gets my kids moving in the morning, they can think straight, they aren’t full of sugar & they love to pick their blend for the day. I’ve served this to lots of their friends & everybody says they’re a hit! 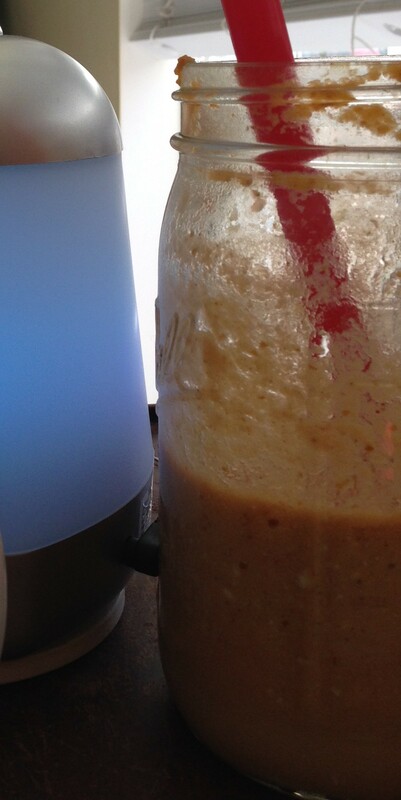 Keep all your supplies right near where you keep your blender & you’ll save lots of steps in the morning. Make one big one, or split the ingredients in the smaller cups. Or, just make the vanilla, then split, then add in the flavor of the day! Super easy! I hope these help make your mornings a little easier & your kids a little less grumpy. If the creamcicle and peppermint smoothies sound good (trust me, they are! ), and you are interested in learning more about essential oils, or how to purchase them, I can help you out! The oils I use are certified pure & taste great in all kinds of cooking. PLEASE be sure that the oils you are using in recipes and cooking are safe to ingest. To learn my choice of food safe oils, message me & I will share which company I choose. Comment on this post (use the little talk bubble at the top of the post to chat) if you have questions, or contact me through my website if you are curious about the oils. BTW… you can usually find extra fat smoothie straws at Big Lots or IKEA!